Join Davina and get riding for a reason for this female-friendly bike ride, raising funds for sick babies and children. 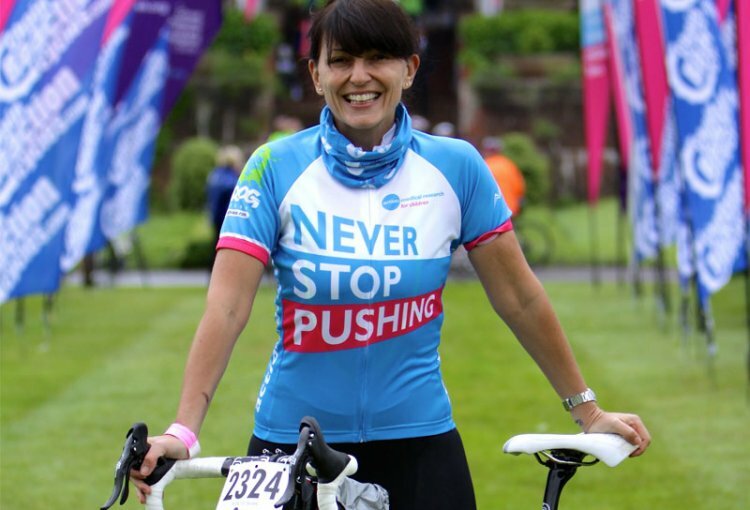 Davina will be there to set every rider off on their way, before cycling the 68-mile route to try to catch you up! This ride is predominantly female but men are welcome if they can keep up! Davina’s Big Sussex Bike Ride offers a Cool 21-mile route that is ideal if you’re new to cycling or looking for an early finish! The Classic 40-mile route is more challenging as is the Champion at 68 miles, ideal if you are a more experienced rider. The Big Sussex Bike Ride is designed and run by Action Medical Research and you'll be raising money to fund the next medical breakthrough that will save and change little lives. Enjoy two well-stocked feed stops en route and a hearty BBQ lunch at the finish line for a unique and fabulous day with Davina. Sunday 25 June 2017. Starting and finishing at the East Sussex National Golf Club, near Uckfield.